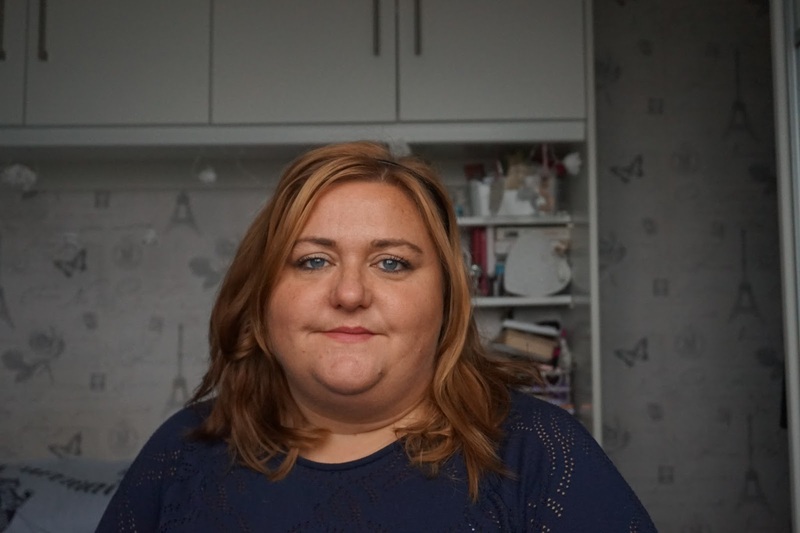 Last Saturday I arranged to meet up with a few plus size bloggers for a shopping day in Manchester. I started planning way back in February and May was the first month that had a weekend around when most people had been paid. Usually when I organise things they fall flat, or get cancelled and I was crossing my fingers people would come and they did! There were 10 of us in total. 8 of us met around 11am in the Arndale and we headed off to the shops. I didn't actually take any photo's of our shopping trip! We started in Evans which was like a furnace, I really wish they would sort the air conditioning out as it doesn't make for a nice shopping experience. We didn't even try anything in the store. We then ventured into New Look and they have moved the Inspire section back upstairs which threw us a bit as it's been down stairs for ages. I could have spent a fortune in New Look, they have loads of really nice things in and I think most of my holiday wardrobe will be from there. I did buy 2 things a play suit! This is not something I ever thought I'd buy but I fell in love. I also got some sandals. 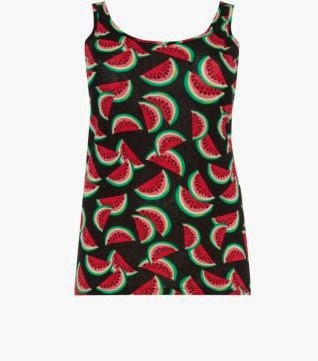 They also have a watermelon Vest top. Gemma and Mel bought this and It is on my wish list! They didn't have very many in and I went to the New Look at Crown Point on Sunday and they didn't have any in. Our final stop was Yours Clothing, I tried on a few items, I almost bought some trousers but I think i needed a size less and they didn't have them in stock so I'll be popping back in soon as I think they will be great for my holiday. We then headed over to Home Sweer Home for some Lunch. There was a bit of a wait so we headed over to Terrance as Vicky really needed to eat something. I'm glad we had a bit of a wait as it gave chance for use to have a bit of a chat and wait for Emma who was coming from Sheffield and Naomi who came up from Wolverhampton to arrive. Everyone's food looked good. They also have milkshakes which looked fantastic sadly I don't like milk so I didn't partake but the others gave a big thumbs up. They also do Alcoholic versions. Our final stop of the day was to Tiger Tiger for a cocktail making class arranged by Debz, more about that in a post which should go up in Saturday. I'd like to say a massive thanks to everyone who came, it was lovely to see those people who I have met before and great to meet new people. I hope you enjoyed the day as much as I did, I can't wait till we can all meet up again. What a wonderful day out, sounds like lots of fun. Some great buys too.I love the dress with the watermelon print its very summery. love the playsuit :) looks like the shopping in Manchester was a success. It was a fab day, love meeting new people and it was worth it for the toastie alone! I really love this linky and it's only the first one. I've loved reading about everyones days out. There is some really nice stuff about atm. The watermelon print is just a vest top from the plus size range but if you search watermelon on NL website there is a whole host of things in the same print in the straigh size range. I want one of everthing! Aww Steph that sounds like such a great day! I can't remember the last time I spent a day shopping! I'd have to have plenty of notice too because I'd need to save up! thank you, i had so much fun!! !